We volunteered to be host parents for Youth Conference this past weekend. We were in charge of 5 teenage girls from Thursday to Saturday night. It consisted of a talent show, service project, dance, devotionals, EFY classes, dinners, firesides, and lots of girl talk. Our girls...hands down the best group of YW women anyone could have asked for! 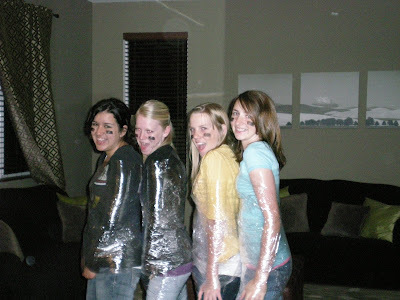 On the last night they wanted me to take them to TP the boys house but instead we decided that decorating their car with sticky notes, straws and plastic wrap would be a better idea. We could see the boys talking in the front room through the glass door but we were very stealth and sneaky they didn't even hear us ( a balloon popping and all!) This made me want to be in YW even more than I already did. 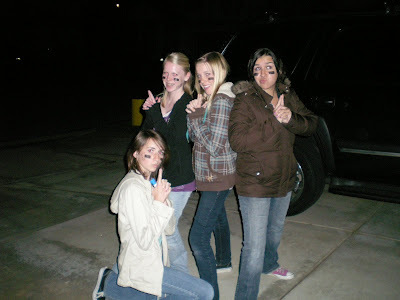 I had so much fun with these girls. They put the remains to good use. And yes they painted each others faces. Ryan and I were very nervous about being Host Parents but after having such a great experience we will definately be doing it again next year. 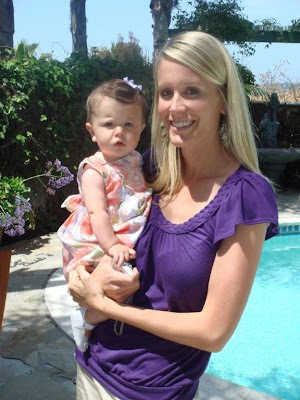 It also made us realize that when you have kids this age 5 does seem like a lot of kids...uh oh! We went to San Diego for Easter to be with family and listen to Ryan's dad speak. It was a great Easter program. Afterward Ryan and I exchanged Easter baskets, napped in the sun, had a delicious dinner and great conversation. It was so much fun getting to dress Camryn in her Easter dress from Grandma Smart and she has another one from Grandma Motley for next week too...so spoiled!!! Well, she just couldn't be ANY cuter! I want to kiss her cheek! Sitting here, I'm wondering...why none of my kids have dark hair like that!?! My husband has dark hair and my natural and your natural hair is similar...so what's the deal? I love it, can you tell? Hi Ryan (and Erica) this is Holly (Rose), Tom's sister. I found your blog on their friend list. Blog stocking I know, but so much fun. :) Your little girl is beautiful!! She defintely looks like a Smart! I think Tom told me that Cody lives in Portland? We are moving there in June so I will have to contact him. So fun to see the Smart family again! Doug and I still talk about how fun it was when you and Tom would tell us your funny stories. 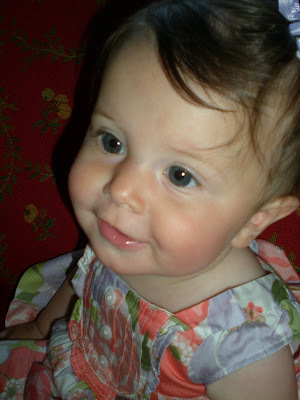 i seriously cannot believe how cute she is! Wow you are very ambitious to be hosts for youth conference! Did they stay at your house for the weekend? 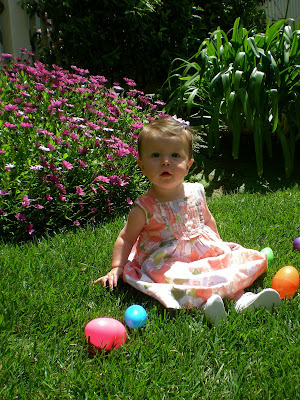 Camryn looks beautiful in her Easter outfit. Emma's like Camryn, she has too many dresses. I've decided that she's going to have to start wearing them not just on Sunday so she can get good use of them. Can't wait to see her soon, and you too! i love her dress! IT's adorable! And how cute are the YW! 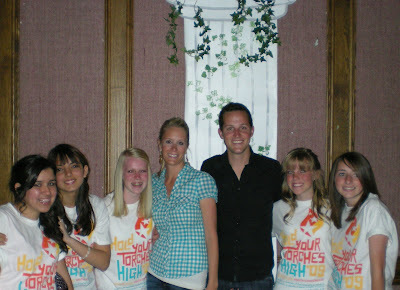 I wish I could be in YW, and I love their tshirts! glad you guys had a great easter weekend! That sounds like so much fun. I wish Lonnie and I could do things like that! Your daughter is so stinkin cute! Dont you love how you just fall more in love with your kids every day. How cute is the Easter baby? 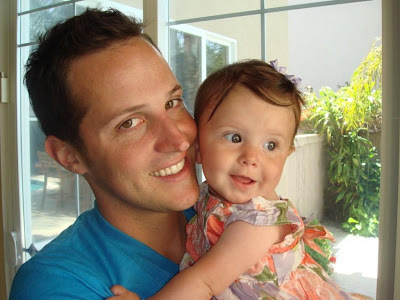 That picture of her and Ryan is seriously priceless - what a good one! Good job on being ambitious hosts! I'm sure they thought you guys were so fun and I agree - I bet your time is coming soon. So fun but lots of work. What a sweet girl! She was such a good sport to cooperate with all your youth conference activities and time constraints. I agree that you would be a great YW leader. Your time will come, I'm sure! 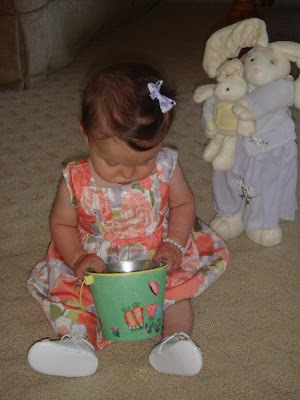 Great pictures-Camryn looks so happy on her first Easter. Her dress is adorable! I'd love to be in young womens too! But so far the only young women they'll give me are the 18 month olds in nursery!